Parent Guide to Teaching English Phonics – Hands-On Chinese Fun! Teaching a child to read does not have to be a painful, difficult, expensive, or time-consuming process. If you know me then you know I like to do things FAST and only spend money when I have to. Like seriously why pay hundreds or thousands when you can do it for (almost) free. I routinely receive catalogs at work for reading programs that cost thousands of dollars, which is utterly ridiculous. This post is a prequel to my post English Reading: Road to Fluency. Sorry for posting them backwards. These phonics (or phonological awareness) skills can be introduced from a young age, around 1.5 years old. Follow your child’s pace. Step 1 took us several months to master, but Step 4 a single day! Five minutes of practice 3-5x a week is far better than drilling for an hour 1x a week. Steps 1-5 are commonly referred to as phonics or phonological awareness. These skills will not only help your child read English but are also transferable to reading pinyin, zhuyin and indeed any phonetic language. The best age to start teaching is highly subjective – I will leave it to your parental judgment! I introduced the first few steps to my son when he was around 1.5-2.5 y.o. The concept of rhyming did not “click” with him until 3 y.o. Step 1. Teach the letter names. Use refrigerator magnets or alphabet puzzles or flash cards and present 1-2 uppercase letters at a time. If your child is older, you can teach 4 or more letters at a time. Point them out in different places such as books, toys, and road signs, and repeat them over and over until your child remembers them. Gradually add a few more until the whole alphabet is learned. Repeat with lowercase letters. Step 2. Teach the letter sounds. The easiest way to do this is to buy this Leapfrog: Letter Factory DVD for $7 at Amazon/Target, or watch it for free on Netflix. Sing the songs e.g. “M says mmm, M says mmm, every letter makes a sound, M says mmm” on repeat and be silly and dramatic when you do the actions. Since letter sounds are inherent in the letter names, it should not present much difficulty for the child to learn them. The most important thing to note is to pronounce the sounds correctly! Many people make the mistake of saying B makes the “bah” sound. I have even seen YouTube videos of this! (Also note that pinyin/zhuyin is NOT pronounced bo po mo fo!) This is absolutely incorrect and will make your child unable to blend sounds later. Step 4. Blending words and syllables. Play a guessing game with your child by saying “Did you know that you can join 2 words together to make a longer word? Hot and dog make… hotdog! Butter and fly make… butterfly!” You can use a printable to make it more visual, but I prefer to just do it verbally. Not only does it save you time and paper, but more importantly it trains your child’s ears 👂 to listen carefully and develop keen sound awareness. After Steps 1-5, give your child and yourself a big thumbs up 👍 for completing all the necessary pre-literacy skills. Now you’re ready for the serious stuff. Step 6. Reading lessons. Head over to Amazon and purchase the book The Reading Lesson: Teach Your Child to Read in 20 Lessons. You can also download the first two lessons for free on the authors’ website. It is parent-friendly, child-friendly, extremely affordable at around $20 (price fluctuates a bit), and really well designed. The authors recommend doing one page a day for kids age 5 and under, but being a little impatient and a tad bit overzealous, I chose to cover two pages a day. At that rate we finished the book in four months. That’s right, from reading ZERO words to reading 1st grade level in four months! HAHAHA! I miss his baby face! 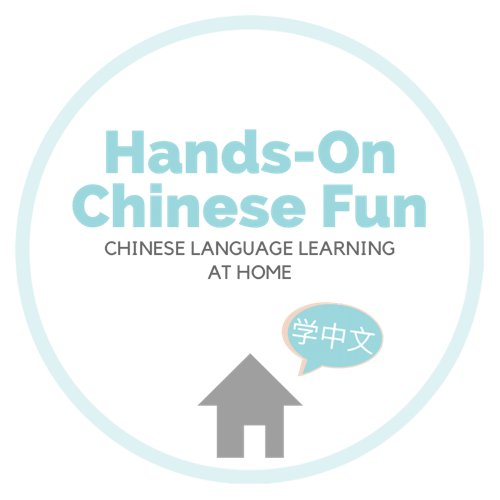 Pingback: Parent Guide to Teaching Pinyin – Hands-On Chinese Fun! Pingback: English Reading: Road to Fluency – Hands-On Chinese Fun! Pingback: English Reading: Progressing to Chapter Books – Hands-On Chinese Fun! Pingback: English Reading List 2018-2019 – Hands-On Chinese Fun!